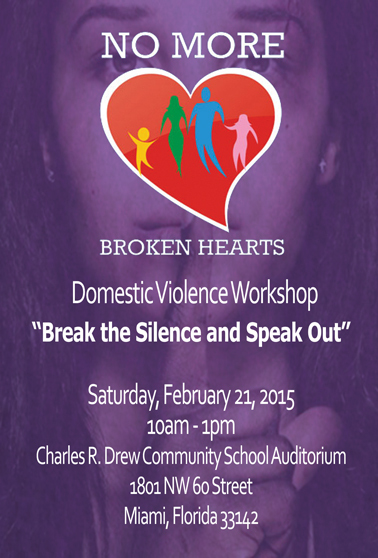 No More Broken Hearts Domestic Violence Workshops is an annual event that provides an opportunity for right-minded individuals to gain the tools to address domestic violence in their homes and community. This one-day series of workshops provides information on intervention, prevention, advocacy, and resources for victims as well as perpetrators of violence. Workshops will feature national speakers and presenters and includes tracks for adults as well as adolescents and young adults. Master Plan Points will be provided to educators attending the workshop. Free breakfast served at 9 a.m. WHEN: Saturday, June 18th, 2016 – 6P.M. to 10P.M. WHY: Juneteenth (Emancipation Day) is a holiday in the United States that commemorates the announcement of the abolition of slavery in the confederate south, and more broadly the emancipation of all African-American slaves. The celebration will kick off on June 17th with our Kick-off Party hosted by Swank Life. Socialize and dance the night away at 670 NW 133th St. Miami, FL 33136 from 10 P.M. to 3 A.M. The following day, head over to Juneteenth Freedom Fry & Music Festival for a fun-filled day of activities, art, and music.